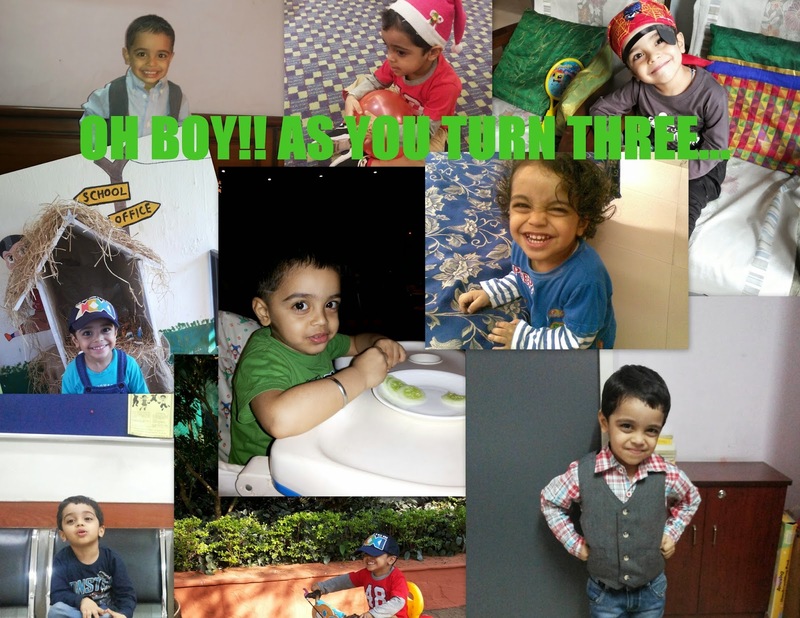 Thinking Loud...: Oh Boy, as you turn THREE!! Oh Boy, as you turn THREE!! I hardly realized as the time flee. As a Mom in me, grew with everyday. Non stop bubbling and babble. When my energy could hardly last. Went around telling look he is so good. Are now my memories all in deep. And my answers were always short of reasons. And let you mommy capture some amazing flicks. Adding words picked from dialect divine. All this was enough for me to go stunt. And let you be all mine. For you my boy have to conquer them too. Where you achieve all heights. You go on and never fall. :* My awesome nephew ! !